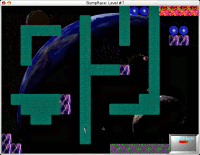 BumpRace is a simple arcade game. 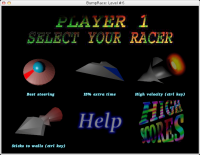 You've to get from the start to the finish line without crashing into deadly blocks. This game has really simple rules! What's new the latest version? The source code is available at BitBucket. You can also use the issue tracker to report bugs and suggest improvements.